Ben is a CPA with over 15 years experience in public accounting. Ben has two degrees from Texas A & M University. One is in Information Technology (IT) and the other is in Accounting. He began his career as a database administrator for the Texas Agricultural Extension Service managing several web enabled databases covering employees and support personnel in 254 different counties in Texas. Ben developed and maintained the databases and the web portal for these and also worked for an IT consulting company on weekends doing general IT and database consulting. This gave him a solid background in IT and Database systems and allows him the ability to understand complicated information systems and IT internal controls. 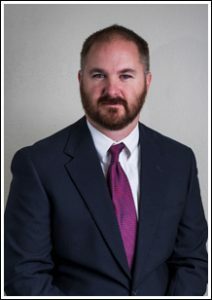 Upon completion of his Accounting degree he began his Accounting career with Grant Thornton LLP and spent five months doing forensic accounting and SEC reporting and financial restatement for HealthSouth in Birmingham, Alabama. This involved locating fraudulent data and restating the financial statements using individual financial data from over 1,400 locations across the US. The Financial statements were restated and consolidated at the corporate level covering all facilities for five years, some of which were reported quarterly. Ben was able to partially automate this process using his IT background and accounting knowledge by developing excel macros and several SQL programs to obtain data from database files and word files and put it in accounting formats by month and consolidate these up to the corporate level resulting in excel financials by facility by quarter. Upon completion of this automation Ben became a team leader and began training employees joining the project. Upon Ben’s team’s completion Ben returned to the Denver office of Grant Thornton and performed audits for public companies, private companies, governmental entities, non profits and did Sox 404 Engagements, IT governance and IT Sox testing. Ben left Grant Thornton to go to a large regional firm in Denver and while there managed public company audits, private company audits and nonprofit audits. Ben also developed, planned and managed the firm’s first successful SAS 70 engagement (now SSAE 16 engagements) and continued to manage and refine the process for these engagements going forward and created a framework for the firm to perform these audits and managed this process. Ben also did Sox 404 consulting, implementation and Audit testing for several clients as well as IT Consulting. While here. Ben worked with clients in the areas of Manufacturing and Distribution, Mining, Energy (including oil and gas, solar and natural gas), Broker-Dealers, Construction, Information and Communications, Real estate, Healthcare, Biomedical Sciences, Telecommunications and retail. Ben also traveled to multiple locations in Canada, the US and South America for several different public and private mining clients. Ben then left this firm to start his own public accounting firm. He began by specializing in taxation but quickly expanded to private audits, valuation (he holds a Certified Valuation License from NACVA), litigation and eventually back to PCAOB audits. In his free time Ben enjoys Jeeping in his CJ-7 that he built from scratch, horseback riding, backpacking, fishing, camping, hunting, sailing, hiking and spending time with his wife and three children. 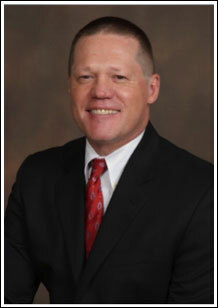 Doug is a CPA (Colorado) with over 20 years experience in public accounting. Doug obtained his degree in business administration –accounting emphasis from California State Polytechnic University Pomona. Doug joined Deloitte and Touche, LLP out of college where he spent nearly 13 years serving private and public audit clients in diverse industries including multi-nationals. Part of Doug’s experience includes a two-year stint in Deloitte’s national office where he performed pre-filing reviews of registration statements and other public documents and advised local partners on interactions with the Securities and Exchange Commission. From there, Doug joined the PCAOB in 2003 where he spent nearly 14 years as an associate director leading inspections of Big 4 and smaller accounting firms. During his tenure at the PCAOB, Doug served as team lead on numerous inspections in the U.S. and abroad in fourteen foreign jurisdictions including a significant stint in Canada conducting joint inspections with the Canadian Public Accountability Board. Joining the PCAOB near its inception, Doug was part of the leadership group tasked with developing the methodologies to inspect the first ever audits of internal control over financial reporting under PCAOB auditing standards two and five (currently AS 2201). Doug was instrumental over the years in assisting the PCAOB’s inspector ranks in developing expert knowledge around internal controls and assisting accounting firm’s to improve their audits in this area. The firm, B F Borgers CPA PC is currently registered with the PCAOB and with the Canadian Public Accountability Board and the AICPA allowing the firm to do audits of private and public Companies in the U.S. and Canada. The firm is now the registered auditor for over 70 public companies around the world. The firm regularly does work throughout the U.S., Canada, Mexico, South America and Asia. The firm also does private audits for companies ranging from companies in the startup phase up to our largest client with over 150 million in annual revenues and multiple locations across the globe. The firm also performs SSAE 18 audits, valuations and tax work for public and private companies. In his free time Doug enjoys local sports (Broncos, Rockies) as well as leisure activities such as skiing, cycling, cooking/grilling and vacation trips with his wife and two children. Eric is a CPA (Colorado) and a CGMA (Chartered Global Management Accountant) with over 8 years experience in public accounting and 2 years experience in corporate accounting in US, China and Taiwan. Eric obtained his master degree in accounting from The University of Texas at Dallas and the bachelor degree in business administration focusing on accounting from National Taipei University, Taipei, Taiwan. Eric was born in Taiwan and Mandarin is his native language. After completion of his accounting degree and the 2 years of compulsory military service, he began his accounting career with Deloitte Taiwan as a financial statement auditor, mainly performed the audit services for Taiwanese listed companies and large petrochemical and electronics consumer product manufacturers in China. He had learned business and accounting practices in both China and Taiwan and built a solid foundation for the financial statement audit. Eric joined a small CPA firm in Taiwan after leaving Deloitte and a few years of financial planning and consultant positions. The firm was engaged in a project for an audit of 2-year consolidated financial statement restatement for a large Taiwanese public company with over ten operating entities. Eric was able to lead the fieldwork with 15 staff in various locations including Taiwan, China, and the U.S. The audit team completed the work within 4 months and he has expressed a highly effective and efficient of project management to meet client’s expectation and satisfaction. In order to gain more in-depth financial accounting knowledge in connection to a real corporate world, Eric joined a Taiwanese list company as an accounting manager. Soon he was assigned to its subsidiaries in China acting as a CFO to assist their debt restructuring process, new investor coordination, and daily financial and accounting supervision. He also had frequent interactions with national and local tax authorities, foreign exchange administration, industry and commerce administration, and banks. These hands-on experiences enhanced his capabilities in audit profession. Eric determined to pursue different opportunities outside of the comfort zone in his early thirties. He and the family flew to Dallas, Texas to earn his master degree in accounting. Before completion of the program in late 2012, he passed all four section of US CPA exam in one attempt within an exam window (two months), and also received an offer from GHP Horwath, P.C. (GHP) in Denver, Colorado, which was later merged into Crowe Horwath LLP on Jan. 1, 2017. He then obtained the CPA license in Colorado on early 2013. During the 4 years of employment in GHP, Eric has mainly assigned to Asian-Pacific based US public company financial statement audit engagements. He was shortly promoted to an audit manager in Jan 2016 and led one $400+ million revenue China based US listed client and a couple of smaller private company clients. He also assisted in financial statement audits of several Asian-Pacific based clients who listed in US and Canada. These clients have operations in China, Hong Kong, Singapore, Malaysia, Indonesia, Vietnam, Cambodia, India, New Zealand, and so on. He also participated in an IPO audit project for a real estate group in England, and a carve-out oil and gas asset acquisition project in Houston, Texas. He focuses on US and Canada listed company audits with US GAAP and IFRS accounting standards, and specializes in industries such as garment manufacturing, wholesale and retail, agriculture, telecom, software, petrochemical, and e-commerce. 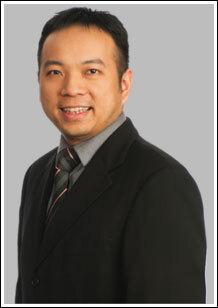 Before the merge took effective on Jan 1, 2017, Eric joined B F Borgers CPA PC (BF Borgers) to keep serving Asian-Pacific based public clients with his expertise. In his free time Eric enjoys golfing, camping, skiing, and road trips with his wife and three children. Linda is a CPA (Virginia) with over 8 years of experience in public and corporate accounting, which includes 5 years working in the US. Linda obtained her bachelor degree in accounting from National Chengchi University, Taipei, Taiwan. Linda joined Deloitte, Taiwan out of college where she served Taiwanese private and public audit clients in diverse industries. She also guided clients in adopting IFRSs to replace the Taiwan GAAP and participated in several IPOs, including foreign issuers from Singapore and Malaysia to register Taiwan Depositary Receipts (TDR). 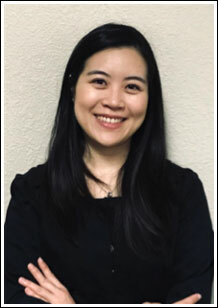 By working with clients in China, Taiwan, Malaysia, and Singapore, she learned the accounting practice in each country and gained capability to research issues in accounting and auditing. To pursue opportunities in the States, Linda moved to Raleigh, North Carolina and started as a general accountant at a local building material manufacturer. She assisted in daily financial operations and local taxes in the beginning and setup standard process for purchasing functions. After three years, she moved up to accounting manager. Besides overseeing daily accounting functions and fulfilling state and local tax requirements, she led the SAGE ERP system upgrade and the implementation of the manufacturing module which achieved a real-time inventory result and improved production efficiency. She passed the CPA exam in 2016 and became licensed in Virginia and is in the process of transferring her license to Colorado. Linda joined B F Borgers CPA PC (BF Borgers) at the beginning of 2018 as a senior staff auditor and was promoted to audit manager in October 2018. She has served two NASDAQ trading clients as field work supervisor and several OTC clients as engagement manager. She also provides internal control recommendations to clients based on her solid corporate accounting experiences. She is fluent in both English and Mandarin and also serves Asian based public clients. During her spare time, Linda enjoys hiking, playing badminton, and traveling. She also volunteers at a parrot shelter in Colorado Springs on weekends. Chris Wolden is a Certified Public Accountant in Colorado and a graduate of Penn State University with the degrees of Master of Accounting, Bachelor of Finance and Bachelor of Accounting. 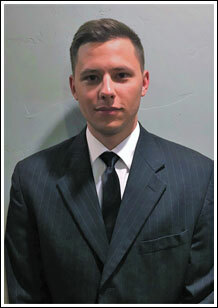 Chris started his career with Grant Thornton LLP in Philadelphia, PA as an external audit associate. His clients ranged from Fortune 500 companies to privately-held organizations and not-for-profits, but gained most of his experience on publically traded clients in the oil and gas sector. Learning about auditing from the bottom up, he worked his way up from an intern to supervising his engagements and becoming his client’s primary point of contact. Chris passed the CPA exam in 2016 and became licensed in Pennsylvania. Seeking lifestyle changes and wanting to be closer to his family, Chris left his job with Grant Thornton, moved to Colorado and joined BF Borgers CPA PC in August of 2017. Since starting with BFB, he has seniored and managed the full audit and review life-cycles of the firm’s publicly-traded clients, including annual 10-K’s, quarterly 10-Q’s, S-1 and 8-K filings. He regularly travels across the country and internationally to deliver client service. Outside of the workplace, Chris is an avid cook, backpacker, skier, and traveler. Chris was born in Las Vegas, Nevada, grew up outside of Pittsburgh, Pennsylvania, and enjoys spending time with his family still living in both of those cities. He has his 4th degree black belt in Taekwondo and served as Captain of the Penn State Taekwondo Team. Beth Hancock is an Enrolled Agent with over 25 years of experience in tax preparation, tax resolution, payroll and bookkeeping. Beth has BS in Psychology and an MBA from University of Illinois. Beth grew up in a Kankakee, Il, a midsized farming and industrial town an hour south of Chicago. During high school and college, Beth worked in the accounting department of her family’s business, KAL Auto Leasing, until its sale in 1986. At KAL she covered for accounting staff during vacations and when they were involved in preparing for the annual audit as well as assisting the CFO with preparation of excise tax returns. After graduating college, her professional career started with EF Hutton as a stock broker in Champaign Illinois. Beth helped young families learn about investing and plan for their futures. Preferring the financial analysis side of things to the sales side, Beth moved to Colorado and became a Fund Accountant for Oppenheimer Funds, pricing the fund daily and working with the portfolio managers to ensure compliance. It was here when Beth was first introduced to tax. She helped work on the project to change the tax year of the funds she worked with and helped advise Oppenheimer fund holders defend the tax-free status of the income from municipal bond funds in IRS audits. 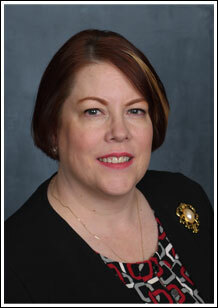 Beth joined H&R Block in 1993 and passed the IRS Special Enrollment Examination becoming an Enrolled Agent in 1997. At H&R Block she worked with individuals achieving additional certifications in military, international, retirement, investment tax preparation. She also worked with businesses, providing tax preparation for income and payroll taxes. Beth provided tax resolution services for H&R Block clients all through the Denver metro area. For ten years, she taught tax preparation and resolution classes. In 2016 Beth joined BF Borgers CPA so she could offer her business clients a full suite of services. She continues to teach taxation through COSEA, the local chapter of the National Association of Enrolled Agents. Outside the workplace Beth enjoys reading science fiction, fantasy, and mysteries. She volunteers for local charities, crocheting blankets and serving on a finance committee. Having moved to Colorado in 1989, Beth has taken up hiking and camping in order to spend time with her family of outdoors enthusiasts.